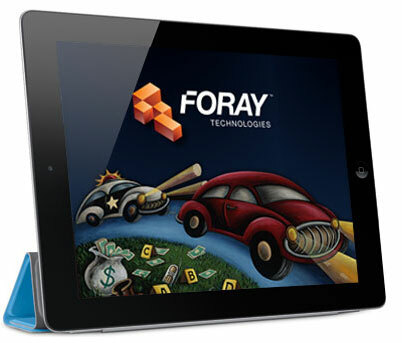 The ADAMS Crime Scene Evidence Documentation solution (Bag & Tag) is a free application for the Apple® iPad®. Now crime scene investigators and first responders can document evidence on the spot at the crime scene. No more handwritten notes, reports or labels. No more writing the same information over and over. 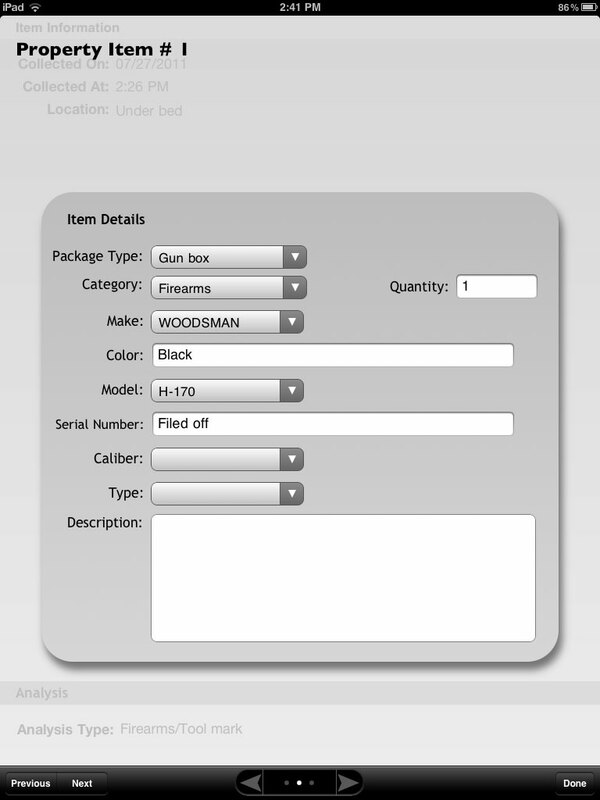 Just one easy, intuitive application to bag, tag and document crime scene evidence. Enter case information. 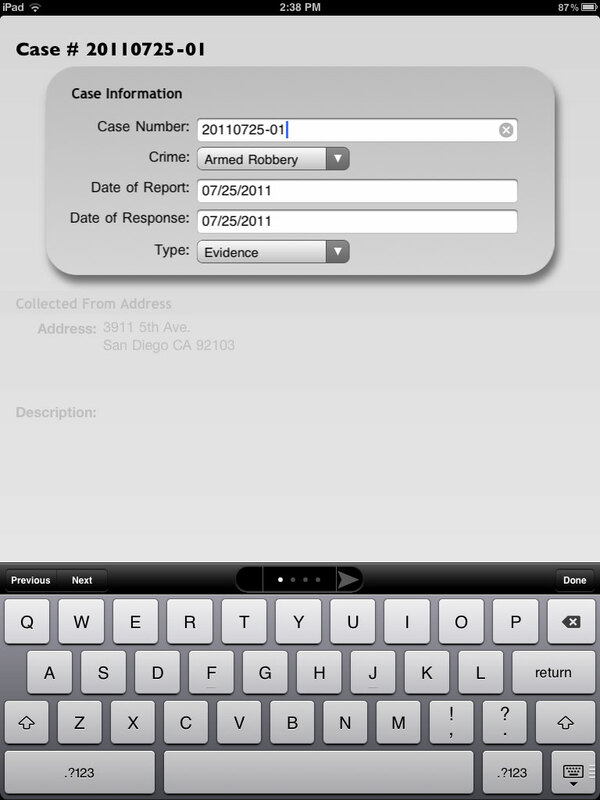 Enter case or incident number, crime type, dates of report and response, type of evidence, and address or location of crime. 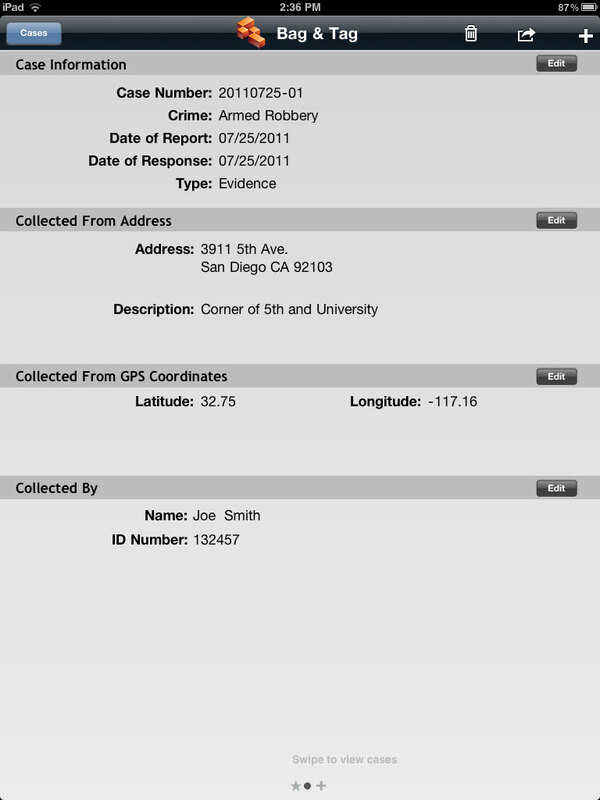 Reduce documentation time with autofill of address and GPS coordinates. Document crime scene evidence. 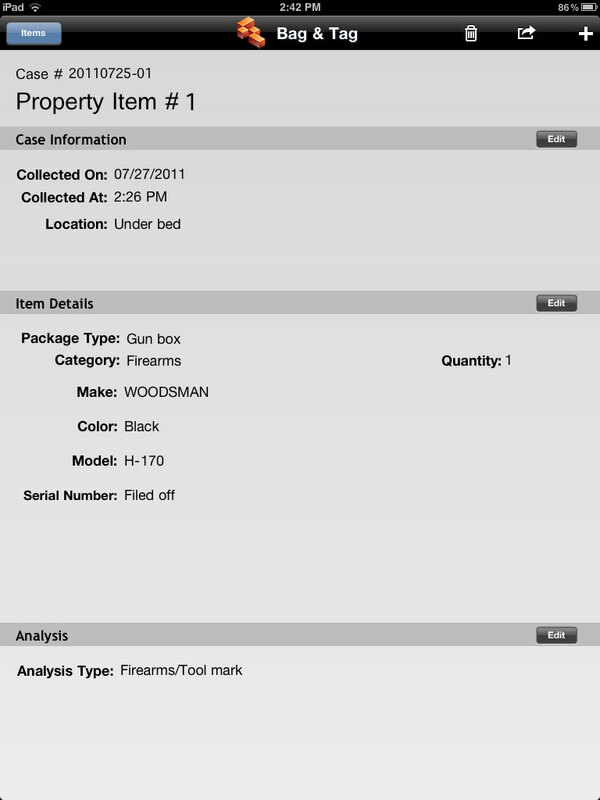 Document each piece of physical evidence using customized package types (gun box, latent envelope, sexual assault kit, etc.) 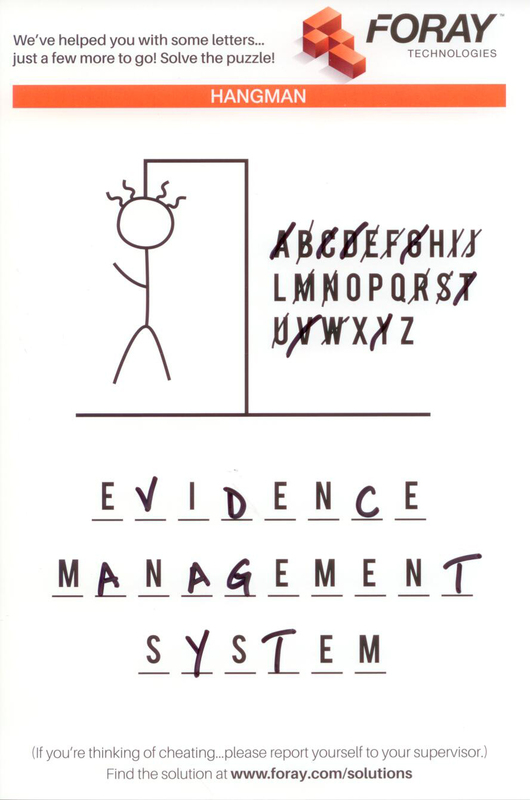 along with agency-customized evidence categories and category-specific fields. 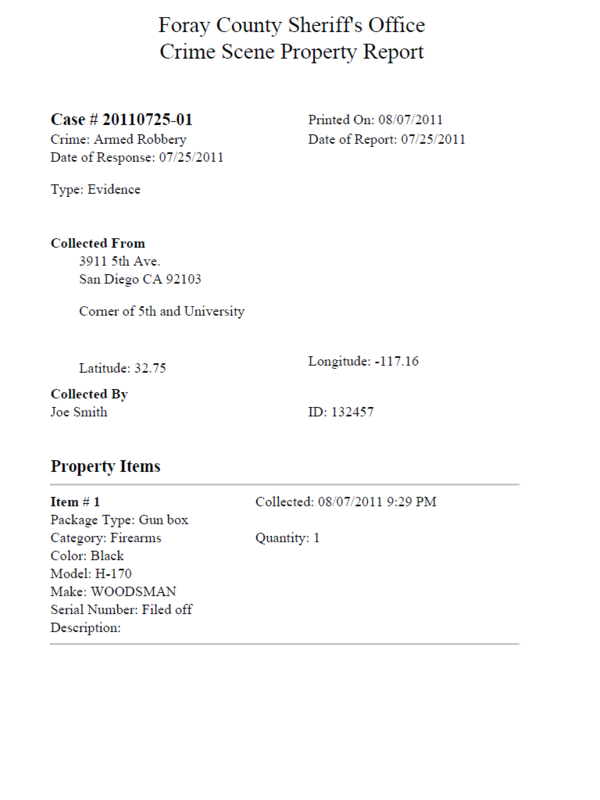 Review property items. Review each of the property items to make sure that complete descriptions and necessary details have been recorded while still at the crime scene. Print property report. Upon return to the office, print and review reports of the physical evidence gathered at different crime scenes, and take the opportunity to correct entries or to elaborate on observations.